I'm not a fan of love triangles. Either they are badly done, in which case they are insufferable. Or they are well done, in which case this overly emotionally invested reader gets all angsty. The good news is that this love triangle lands firmly in the second category. The even better news is that the angst level was surprisingly low for me! As with any love triangle, you have three people. There is Henry, who is married to Marilyn, the mother of his deceased son, but in love with Lucy, with whom he has a daughter. In addition to these three, we also get the voice of Blue, Henry and Lucy's daughter. It shouldn't be a surprise that the plucky 10 year old character is the most likable of the characters, although I can't say that all the other characters are especially unlikable. Lucy is also the only character whose chapters are told in first person. The other chapters are all told in second person, which gives this book a very unique view. I'm struggling to find the right word to describe it--accusatory? Forcing introspection? 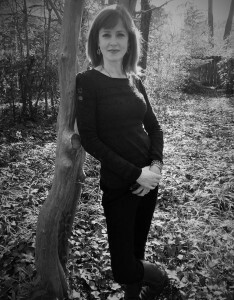 The action of this novel takes place from 9am to 3pm on a specific day. This structure forces to the story to be far more character driven than plot-driven and I don't think that is an easy task for an author. Yet, Pelletier pulls it off. We get to know each of the four characters quite well, including not only their hopes, but also their motivation. I immediately felt for Lucy, "the other woman," who is really caught in an impossible situation. I also quickly warmed up to Marilyn and felt the pain she had been living with for the past 14 years. Henry, was a different story. Pelletier does let us inside his soul, and I never believed that he was a bad person at all. In fact, I saw him as a man who tried to do the right thing at all times. But, he is still a guy who made the choice to have two families. I am sympathetic to the fact that his grief and Marilyn's grief were incompatible, but that still isn't a reason to draw a third person into the web and keep a second family on the side. I'm not sure if Pelletier wanted us to feel sympathy for Henry or not--and I'm not sure that I don't feel at least some sympathy for him. However, I still feel that he is ultimately responsible for the complicated situation in which all the characters find themselves and I'm not able to excuse his decisions. This, however, is not flaw in the book for me. I think it is actually one of the strongest features of it--that we're able to understand why someone does something yet still not agree with it. 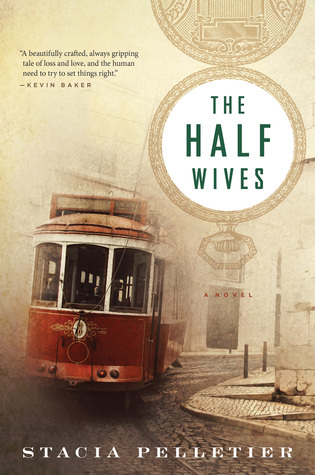 The Half Wives was a thought-provoking read, and one that was well-worth my time. I would recommend it to anyone who enjoys character driven novels and who wants to be challenged by those characters. With thanks to Historical Fiction Virtual Book Tours, I have 1 paperback copy of The Half Wives to give away to one of my readers. This giveaway is open to US Readers and will run until midnight (Pacific Time) on Monday, April 17th.